In case you were wondering, INCH = I’m Never Coming Home. 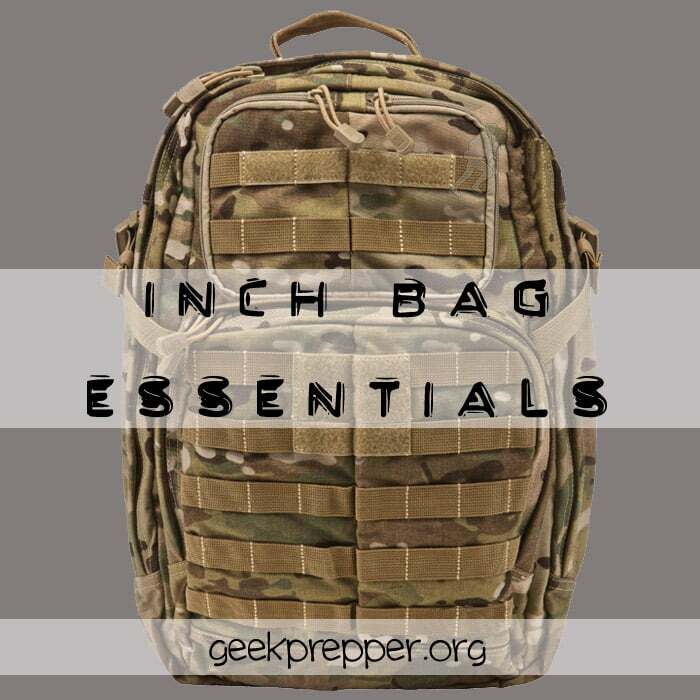 The traditional definition of an INCH bag is that it’s an “over-sized bug out bag”. INCH bags are supposed to keep us safe in the wilderness so we need to pack more, right. INCH bags aren’t just about packing more. In addition to adding more food, water, clothes and gear, you’re also going to need a few things that, more often than not, have no place in a bug out bag. These things will make a difference if you’re forced to spend week or even months in the wilderness. 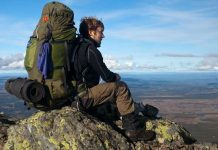 Here’s my list of items you should consider in your backpack, not before you keep in mind your unique situation (number of family members, skills, fitness, climate and so on). If you’re gonna be out there for a while, you’re gonna need the best shelter you can have. I know a lot of people associate bugging out in the wilderness with making shelter from natural materials but a tent will provide some much needed comfort plus protection from the elements. Lanterns are great for campsites. Many of them are a little larger in size but you can also find smaller, inflatable ones that have solar panels on top. Though you will add more food to an INCH bag, it still won’t last you too much. IF you don’t eat too much, that is. Having the means to build a trap for small game is mandatory if you want to keep your kids busy and your bellies full. You’re going to hunt, you’re going to fend off attackers. Your guns needs to be in top shape. With such a large bag, if you don’t organize things, it’s gonna take you forever to find your things. You don’t have 10 minutes to waste every time you’re looking for your ferro rod, so why not keep everything in modules or kits? First aid kits, fire starting kits, cooking kits – if you organize them this way you’ll always know where to find something. If you can wrap them in transparent packaging, it’ll be even easier to see what’s inside without opening it or having to label each container. For instance, you can put everything in waterproof Ziploc bags and then put those bags in transparent plastic bags that are also puncture proof. Speaking of modules, consider the scenario where you have to leave your INCH bag behind. Maybe you’re being followed or even chased. The bag is going to be really heavy and the only way to put some distance between you and your attackers is to lighten your load. Wouldn’t it be nice if you had a smaller, lightweight emergency survival kit that you can just take out of your INCH bag and continue with it (until you’re able to come bag for your main bag)? This mini-bug out bag should have, as you’d expect, some of the most important essentials needed to survive a few hours up to a day: a folding knife, a mini-first aid kit, a couple of lighters and so on. As far as the pouch is concerned, I recommend one that has two important things: MOLLE compatibility as well as straps for you to wear it as you’re running away from danger. Chopping wood, making shelter, carving primitive tools, climbing trees, keeping thorny bushes away as you’re moving through the woods… there’re so many uses for work gloves that adding them into your survival bag is a no-brainer. 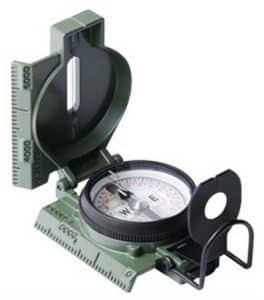 For bushcraft purposes, not any compass will do. You can find lensatic compasses for 10 bucks on Amazon, don’t rely on the one that came with your watch. Two is one, one is none. Fish hooks and line have numerous alternative uses. Regardless, fishing might be your only option when bugging out in the wilderness for months on end. Even if you have a tent, a tarp is also mandatory for a prolonged bug out. 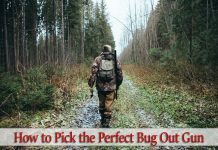 (For bug out bags, here’s a small article on the pros and cons to figure out whether you need a tent or a tarp.) Use it to insulate the floor of your tent, to butcher the animals you hunt, to provide shade and on and on. I’m not sure how much space you need for your files but some people have hundreds of gigabytes to store. Hard drives aren’t necessarily heavy but keep in mind that by adding dozens of items to your INCH bag, it is going to be pretty heavy at the end. 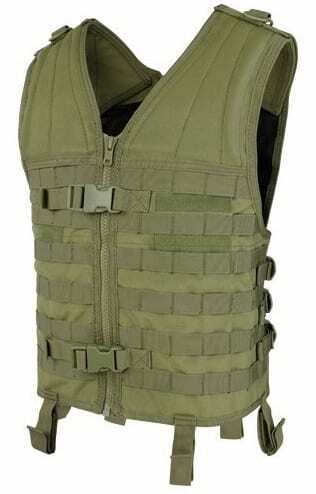 This may not go inside the INCH bag but a tactical chest rig has a whole bunch of useful pockets. Yes, another item that will add considerable weight to your bag, but you know best the survival scenarios you prep for. Gas masks can protect you from a variety of scenarios including tear gas, a volcanic eruption and a nuclear meltdown. Few people know that the Sawyer Mini can purify 100 times more water than the LifeStraw. Both are good but the Mini will last you a lot, lot longer. What happens if you run out of ammo? 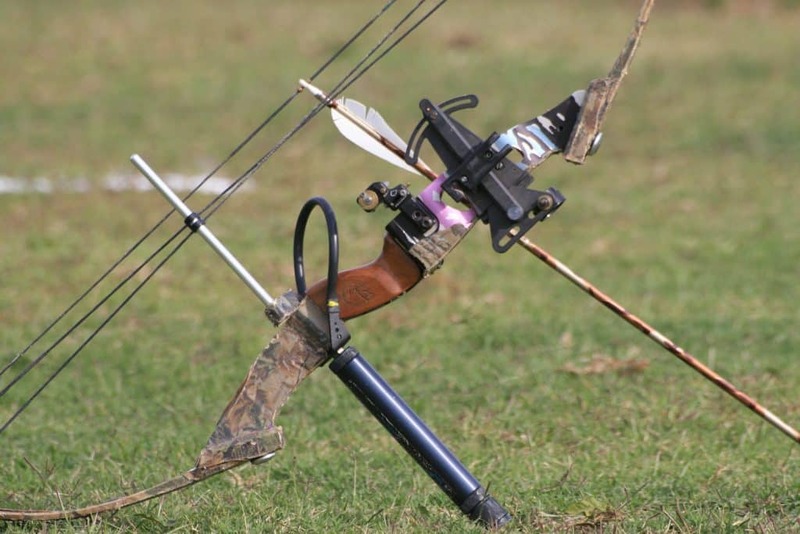 Unless you’re willing to carve some sort of primitive weapon using items you have in your bag, I suggest you pack a professional one such as a crossbow, a compound bow or a sling-shot. …and so on. At the end of the day, the best way to figure out what to add is to think about the problems you might encounter and the ways you could solve them. All those lists of essentials to pack in your survival bags out there should be taken lightly. If you’re not careful, you’ll end up with an INCH bag you’ll barely be able to carry. 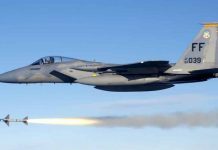 How to Survive an Air Raid? Free Survival Guide! Which LED Lantern is Right for You?